Comments An unheated and untreated Ceylon Sapphire with such brilliance is a joy to behold! With such an outstanding lustre and a perfect butter yellow color, and at this level of transparency and not to forget the massive size this is one of the most outstanding gems! 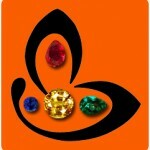 Jyotish quality at its best! 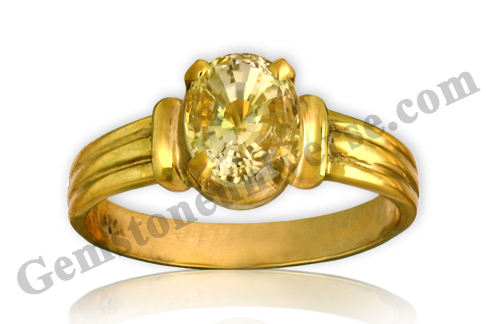 Natural Yellow Sapphire set in a 22k gold ring and making a powerful talisman that is sure to deliver the best results of Lord Guru/ Jupiter! hi, how can we buy this one. can u please let me know how to place a order for the above ring. thank you.